The Members of the historical Italian Geophysical Association (AGI), founded in 1951, unanimously approved the adoption of a new name – Italian Association of Atmospheric Sciences and Meteorology (AISAM) – and a new statute during their General Assembly held on July 27th 2016 in Rome. The adoption of the new statute represents the final step of a process initiated during the General Assembly held on May 18th, 2015: Members had given the President and Council a clear mandate to renew the association according to the needs expressed by the national community operating in atmospheric sciences and meteorology. 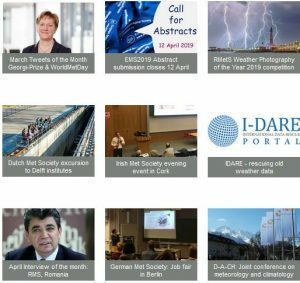 In particular, the new association intends to provide opportunities for aggregation and cooperation of the different actors operating in the atmospheric sciences and meteorology – forecasters, researchers, academics, teachers, professionals, media workers – and to facilitate their coordination. represent, internationally, the national meteorological community, and promote abroad the results of the national community. AISAM, by statute, will also play the key role of professional association for meteorologists, as required by the national law No. 4 of 14 January 2013 for the definition of requirements for the exercise of the profession and for the organization of professionals.